Those who tells white lies are like zebras. At first blush, they dazzle the eye with fancy flair. But, before long, they simply end up looking like wild asses. Tuesday, August 9, 2011. Today’s post was inspired by the NaBloPoMo prompt, “What do you think about white lies?” I took the picture of the Lego zebras today while at Legoland California. Love the quote! Is that a Stephanie original? It’s new to me. 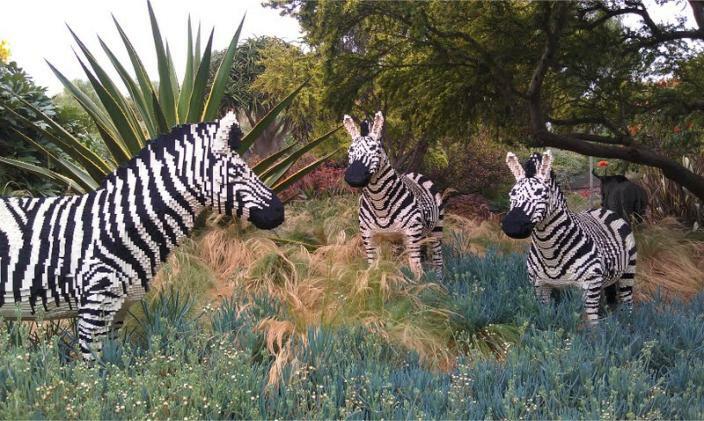 I was on a kiddie ride at Legoland today and snapped a pic of the zebras. Then I saw the prompt from NaBloPoMo, and it just worked itself out of my over-stimulated-by-amusement-park brain. Thanks for dropping by, Angela!